Dr. David H. Johnson, M.D. Dr. David H. Johnson is the Donald W. Seldin Distinguished Chair in Internal Medicine and Chairman of the Department of Internal Medicine at UT Southwestern Medical Center in Dallas, Texas. He is a board certified medical oncologist who specializes in experimental therapeutics and the treatment of lung cancers. From 1983 to 2010 he was a member of the faculty at the Vanderbilt University Medical School where he held the Cornelius A. Craig Chair of Medical and Surgical Oncology and served as the Director of the Division of Hematology and Medical Oncology and Deputy Director of the Vanderbilt-Ingram Cancer Center of which he was a founding member. In 2010 he relocated to Dallas Texas to assume his current position. 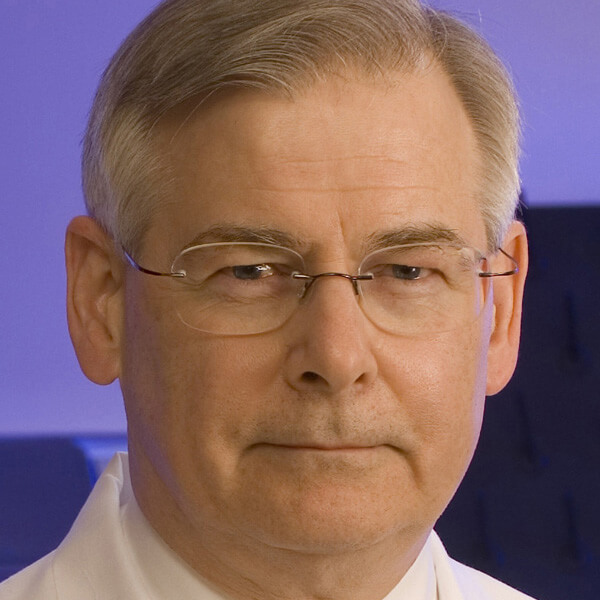 In 2004-2005 Dr. Johnson served as the President of the American Society of Clinical Oncology (ASCO) during which time he worked to advance ASCO’s cancer survivorship and quality care initiatives. From 2005-2009 he was a member of the International Association for the Study of Lung Cancer (IASLC) Board of Directors. Additional past activities include Chairman of the American Board of Internal Medicine (ABIM) Board of Directors, Chairman of the ABIM Medical Oncology Subspecialty Board, Chairman of the Thoracic Committee of the Eastern Cooperative Oncology Group, member of the FDA’s Oncology Drug Advisory Committee and service on the Boards of Directors of the National Comprehensive Cancer Network and the LiveSTRONG Foundation. He has authored more than 400 journal articles and 40 book chapters and edited four oncology textbooks. Dr. Johnson is an elected member of the Association of American Physicians, a Master of the American College of Physicians and the recipient of Established Investigator Award from the Cancer Research and Prevention Institute of Texas. In 2016 he received the Distinguished Achievement Award from the American Society of Clinical Oncology. He earned his medical degree from the Medical College of Georgia and received his Medical Oncology training at Vanderbilt University.